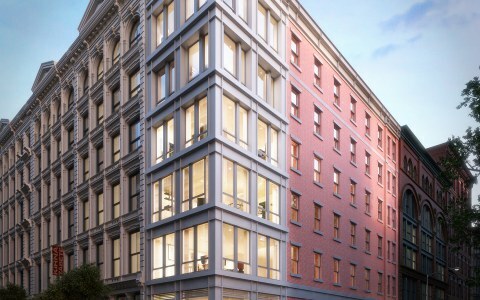 124 East 92nd Street – ARPAD BAKSA ARCHITECT, P.C. 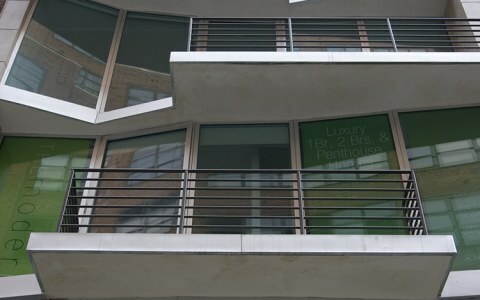 The project is located at the Carnegie Hill Historic District, on East 92nd Street between Park and Lexington Avenues. The block has some of the most beautifully renovated historic row houses in the city, which collectively create a harmonious streetscape, with many well-known residents including Woody Allen. 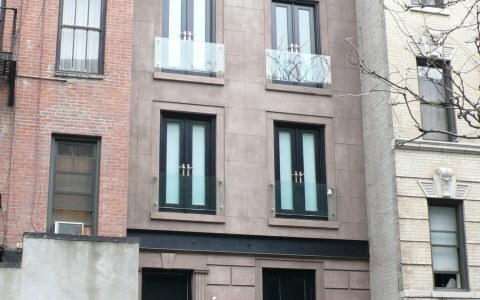 Built in 1900’s, 124 East 92nd Street is a unique representation of the block, and its recent historic renovation brought its row house character back to life. The previous owner of the house was Helen Roosevelt Robinson – the daughter of the half-brother of President Franklin D. Roosevelt, who also got married to a nephew of his. In 1935, she hired architects William and Geoffrey Platt who renovated the old row house by removing the stoop and giving the house a new facade of stucco; which resulted with its modern look today. Our scope for the project included the renovation of the row house, the restoration of the 2nd floor windows and front area, and the design of new interiors for a luxurious single family residence. The one piece fixed window at 2nd floor, which is a 1935 alteration, is removed and replaced with the three pair of wood doors as an interpretation of its original design. All historic features of the interiors including the winding historic stairs and balustrade, fireplaces, wood window gates and moldings are restored and missing elements were duplicated. 4350 SF town house is renovated as a single family residence, accurate to its original design. With a dropped full cellar, basement and three floors, the space is designed to house a family suite with kitchen, dining and living room; formal living room, 3 bedrooms, 3 bathrooms, 2 powder rooms, study, and pool room. It has 414 SF outdoor space, including the rear garden and balcony, which is a part of the master bedroom suite. The building features also include a glass front addition that opens up to a planted garden at the rear; 2 fireplaces; skylights; Christopher Peacock kitchen cabinets; and closets and cabinets custom designed per use and user throughout the town house. The cellar was lowered 2 plus feet to accommodate generous ceiling height 9’+ for the newly created family room. Other building features include built-in audio system throughout the house and camera intercom at every floor for communication.